Carbonized pieces of lentils as old as 13.000 years were found alongside Greek habitations which makes it the oldest known legumes to mankind. Super paleo friendly and given it’s low readily digestible starch level (5%) it’s a viable option for people looking for low GI level ingredients food. 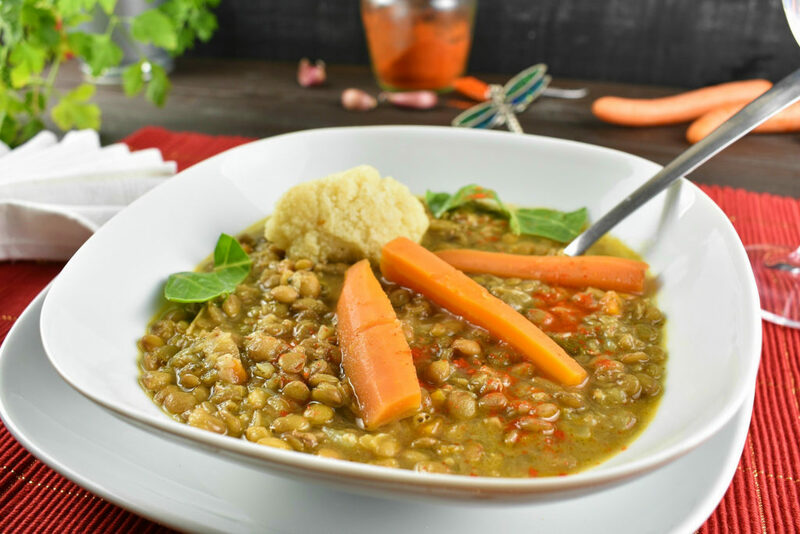 Lentil soup is recognized as highly nutritious, a good source of protein, dietary fiber, iron and potassium. These things would worth nothing though when its taste would be terrible but luckily it isn’t. Or not when it’s prepared with all sorts of herbs, vegetables and maybe a some slice of meat. Ancient Greeks went so far as to call it the sweetest of delicacy. Not to mention Esau who gave up his birthright for a nice bowl of healthy lentil soup. Jacob must have been a great chef of his time. Strangely enough this long period of time hasn’t yielded that many recipes as we would expect or not in the western world at least. Asia must have a ton of recipes written down secretly on golden rolls hidden in high temples protected by pandas. But let’s not get into that. 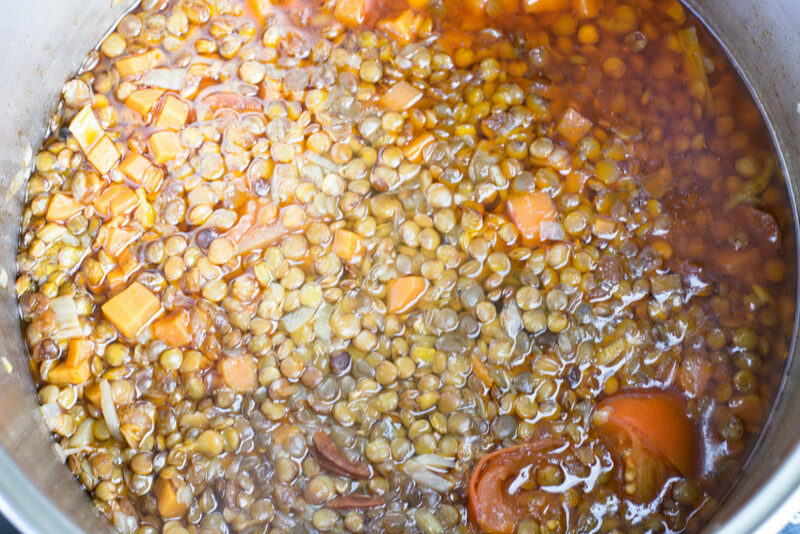 Lentils can be consumed soaked, germinated, cooked, fried and baked. So basically in all means possible except raw because that’s just not that tasty at all and it has some high phytate content which no-one knows if it is bad or not yet so it’s best avoiding it. 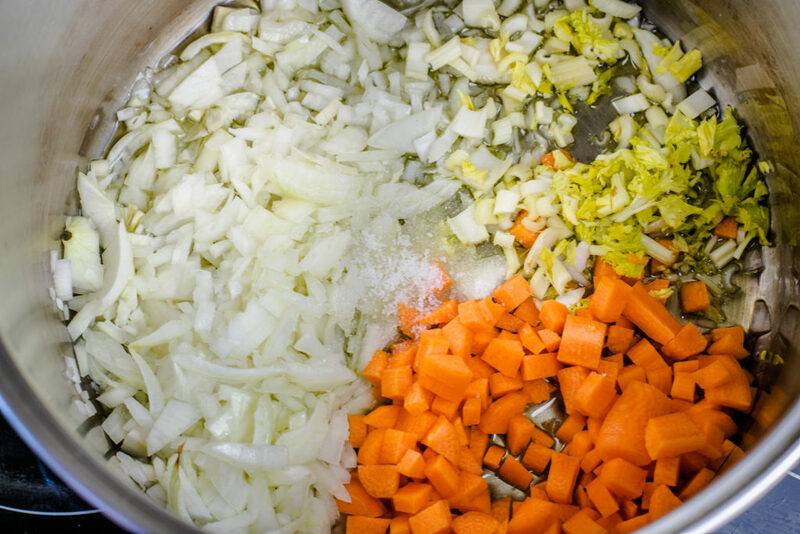 Making soups is one of the easiest culinary feast of all. It requires hot water and ingredients thrown into it then cooked until it’s done. 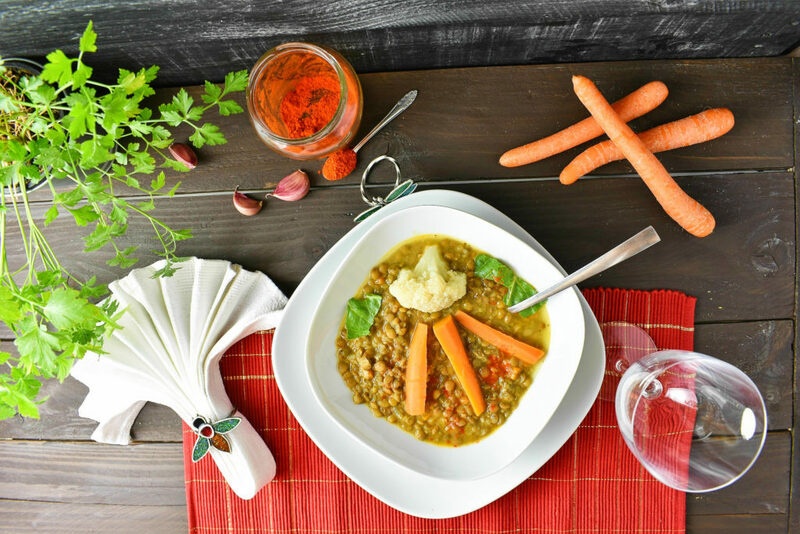 This lentil soup recipe is no different either. We are trying to give it some extra flavor and thicker texture by caramelizing the onion and the carrots before filling the pot up with the water. Sauteing the onion and the carrot not only will change their taste but their structure too. The carrots are naturally high in sugar but locked inside the fibre structure. This structure is broken down by heat which results the sugar content is released thus easily digestible by our body. So if we are looking for low carbs lentils soup then keep the veggies as raw as possible and only cook them as recommended. This can be done by adding the vegetables right before the end of the cooking process or taking them out when desired. Optionally it can be cooked separately but that would yield no benefits for our soup in terms of taste therefore not at all recommended. Making a lentil soup with ham is no different than making one without it. Also any kind of meat including bones could be used to make it richer and tastier. Actually soups with bones are one of the bests like this bone broth soup. 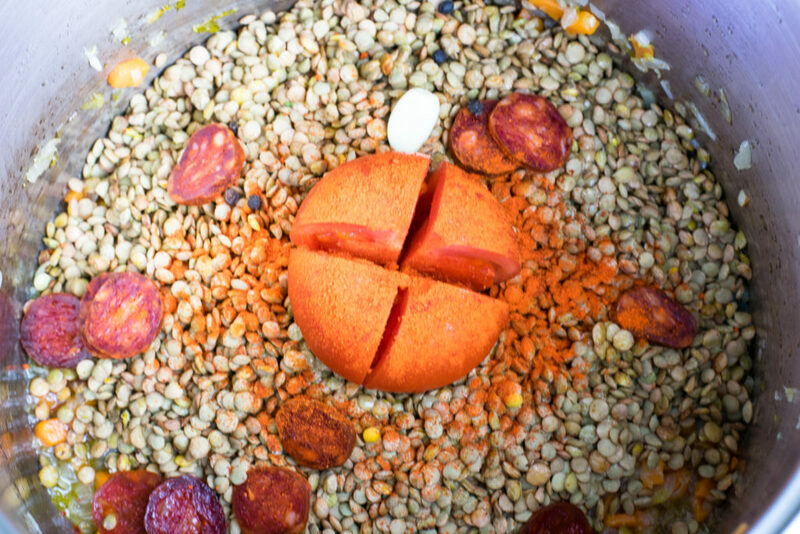 This easy lentil soup recipe uses only some Spanish serrano ham but a 2″ / 5cm long Spanish chorizo would make wonders to it, as well. If these are hard to come by then a slice or two smoked bacon would be a good enough substitute for them. Mind that if we go meatless and skip the onion sauteing with the carrots at the beginning then we may end up some quite tasteless soup except of course if we liven it up with extra herbs. Luckily the Italian lentil soup recipes ask for oregano, basil and thyme which herbs mixture would save any tasteless day. As it is with other legumes soups like the bean soup this brown lentil soup freezes and defrosts as well. The texture and taste of the lentils stay almost the same so it’s worth to make big pots of it and freeze them for difficult days. 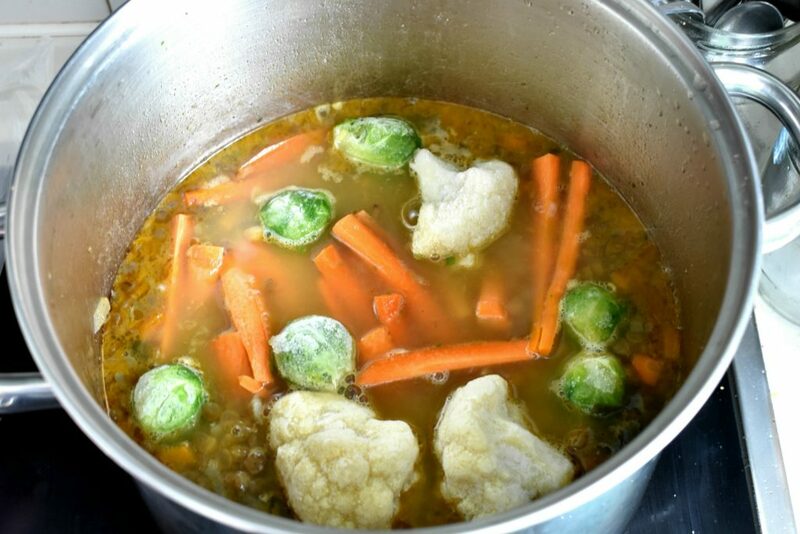 Vegetables generally don’t defrost very well so if we used any broccoli, cauliflower and don’t like their soggy taste after heating them up again then don’t bother freezing them with lentil soup. 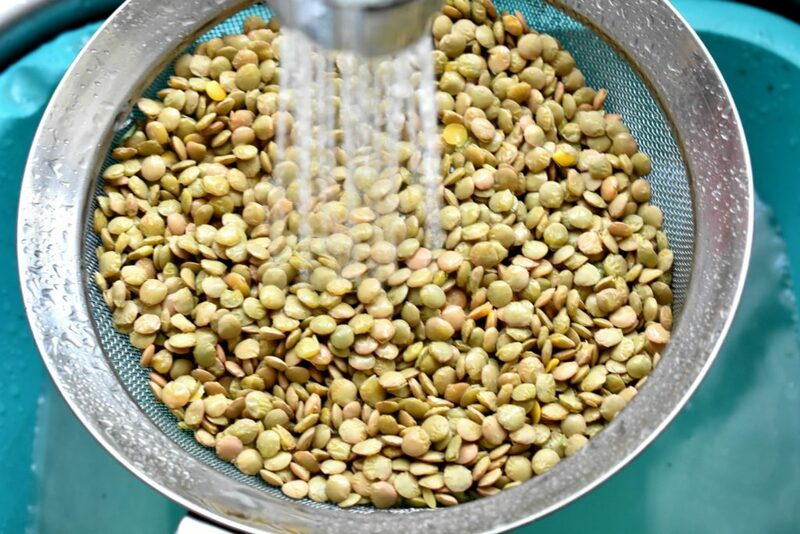 Rinse the lentils then put them into a pot and fill it up with water to soak. Follow instructions on the packaging for soaking. 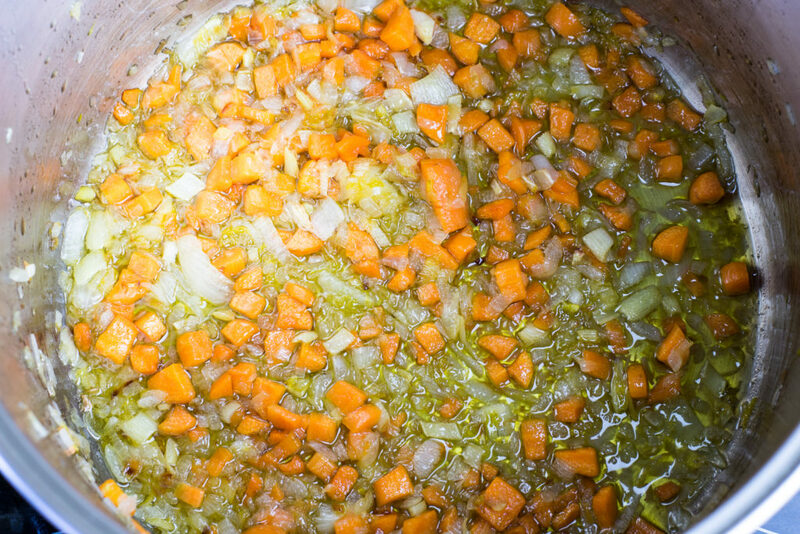 Heat the oil in a big pot and then add the diced onion, carrot, celery and salt to it. Saute the onion, carrot and celery on low heat until the onion gets a light brownish caramelized look. It takes around 15 to 20 minutes. Add black pepper and the garlic then continue frying them on low heat until the garlic releases it’s nice garlic scent. This will take around 2 to 3 minutes. Mind not to burn the garlic to dark brown as that would ruin the dish. Add tomato, spinach and paprika and fill the pot with water. If we use any other vegetables or herbs for flavoring this is the time to put them in. Parsley root, parsnip, basil, oregano, chives or thyme are all great options to choose from. Also this is the time for any kind of meat or bones to be used. Add the Spanish ham to the soup then cook the lentils according to the times marked on the packaging. 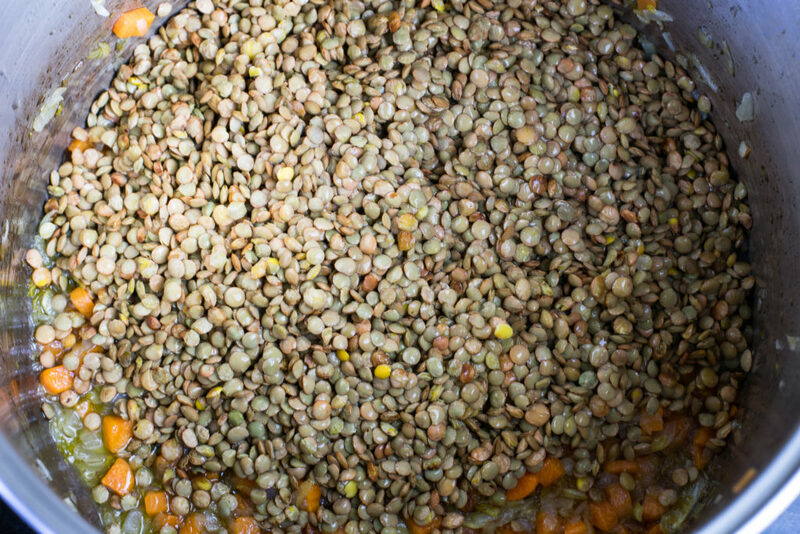 Brown lentils normally take 40 minutes to one hour. Roughly 10 minutes before the end of cooking add the chosen vegetables to the soup. Put the lid back on and bring it to boil. When it starts to boil lower the heat and simmer it for about 10 more minutes or until the vegetables get the desired texture then take it off the heat. For the best results let it rest for at least half an hour before serving. This will allow the flavors to bend together smoothly and let the soup cool a bit down as well. 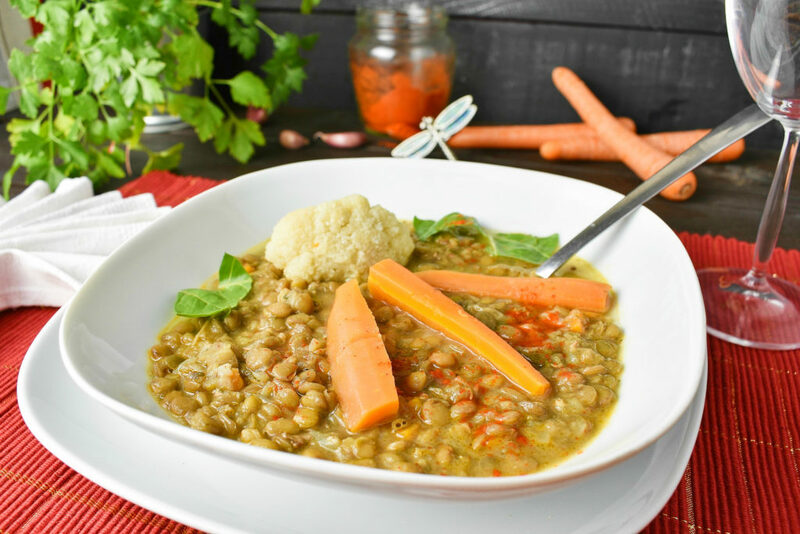 Easy lentil soup not only for kitchen newbies. It's not ready in a minute but as with soups it's hassle free, filling and delicious. Even The Bible says so. Add black pepper and the garlic then continue frying them on low heat until the garlic releases it's nice garlic scent. This will take around 2 to 3 minutes. Mind not to burn the garlic to dark brown as that would ruin the dish. Fill the pot up with water then add tomato, spinach and paprika. If we use any other vegetables or herbs for flavoring this is the time to put them in. Parsley root, parsnip, basil, oregano, chives or thyme are all great options to choose from. It’s the easiest thing I’ve ever made! Thanks! Hey there, You have done a fantastic job. I?ll certainly digg it and personally suggest to my friends. 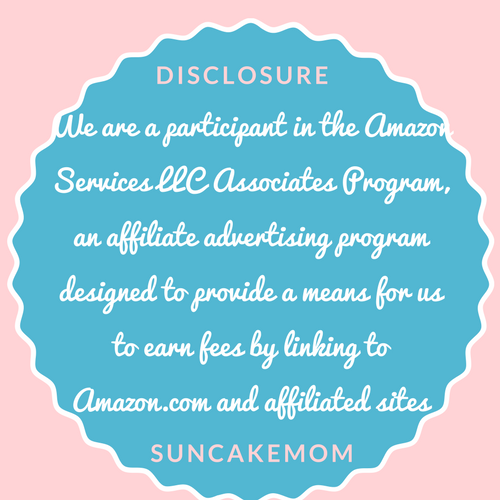 I am sure they’ll be benefited from this site.